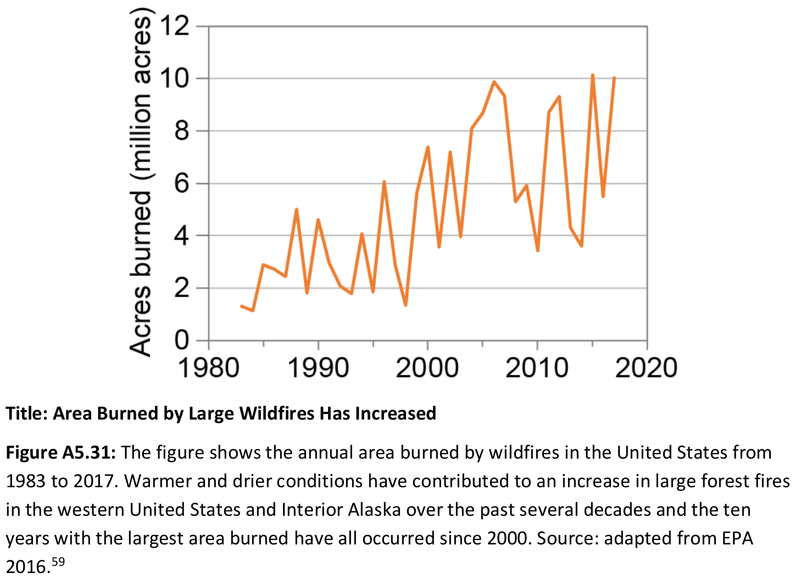 Similar to California, Washington and the rest of the Pacific Northwest have been dealing with an increasingly extended and costly fire season – spurred by rising temperatures due to climate change. This year was the worst wildfire season on record, with more than 1,700 wildfires reported – most of which started in Eastern Washington. But unlike California, Washington’s fire season typically ends in October, mostly due to colder temperatures and humidity. And with a population of about 7.5 million that pales in comparison with California’s 40 million, it’s less likely for towns and homes to be in the direct path of wildfires despite the blazes regularly burning several hundreds of thousands of acres in the center of the state. Observations from the Fires in Washington. The northwestern United States has become an air pollution hot spot — literally. Yeah, it was definitely a bad summer here in Reno for air quality. It was almost an entire month of red sunrises, I never remember it lasting that long when we lived in Denver (maybe a week at the most). People around here seem a little more complacent since we have sagebrush rather than pine trees, so most of our fires tend to be "brush fires". But I'm still gonna keep the sage trimmed far back from my house and have a BoB ready to go. Backwoods Home had an article about this several years ago. They suggested clearing an area around your house for at least 100 feet, I think it was. A couple of fruit trees or something was OK, but not too close together. Concrete block construction, metal roof. Limited burnable flowers and shrubbery against the walls. Propane or other fuel tanks as far away as you can manage. Depending on where you live, some plants don't burn as readily as others. A few years back I toured my friends newly built mansion on the outskirts of Spokane. They had a “fire resistant” room for a safe and file cabinets, which amounted to a small walk-in closet with a steel door enclosed in tons of sheet rock situated in the middle of the house. He claimed it was a common feature for houses there, but I wasn’t convinced it would make a bit of difference if the rest of the house burned down around it. Problem with fireproof homes is, even if your home survives, everything around you gets destroyed. This creates a horrible environment to live and without surrounding infrastructure your property value plummits. Afterall, who wants to pay full value for a place in a disaster zone? There was a story several years ago about an architect who did thiscand the resulting nightmare when his community was destroyed. Net, this may be one of those cases where quick bugout route+insurance is the best prep. Took a while to find the stories as the articles were from 1993 Laguna Beach fire. LAGUNA BEACH — They live on streets where houses have vanished, children no longer play and a walk down the block is a heartbreaking journey. In the four months since a capricious firestorm spared their homes while annihilating their neighborhoods, these surviving families have been trapped in a nightmare world with a warped and eerie landscape. They feel sad, lonely and guilty. And they apologize for complaining. After all, they are the lucky ones, a cold truth that slices through them when they see an old neighbor. The house that most exemplifies the pick-and-choose monster blaze is the stucco edifice built by To Cong Bui. Immediately after the fire, photographs of the lone tile-capped structure amid rows of utter devastation were played across the front pages of newspapers and on television. On a recent sunny afternoon, Bui and his wife, Doris Bui-Bender, sat on their concrete deck overlooking the baked hillside and talked with friends about the invisible scars that the blaze left behind. "Everybody assumes you're happy because you still have your house, but it's not that way," said Bui-Bender, adding that some people now treat her as if she has "a different God." "To live here in this neighborhood . . ." she started, her voice trailing off to a heavy sigh and a shrug of the shoulders. If the days are dreary for these survivors, the nights are no picnic either. With the street lights gone, chimneys rise like tombstones in the dark, and the Dybases tote a flashlight when they venture onto the funereal landscape. "There's an eerie stillness, especially at night," Dybas said. "There's nobody to run to if you have a problem." Linda Altdorffer, who used to stride daily down Skyline Drive and up Park Avenue, has halted that exercise altogether. "The walks are over," Altdorffer said. "I tried walking once and I can't do it. It's just too sad. You don't go outside anymore. You can't go outside and feel good about it when you see this devastation . . . and you've got to live in it." Speaking from the fortress that is her comfortable living room, Altdorffer recalled how her garden, deck and roof were burned in the blaze. "Minor," she said. But the fire had "a devastating effect" on her youngsters, especially a daughter who Altdorffer said has slept fitfully and had "panic attacks" since the fire. The playmates who once zipped merrily along Tahiti Avenue on bicycles have disappeared. "The (main) drawback was losing the friends, all the people who used to be here," Altdorffer said, adding that she now has fewer visitors. "People just don't come up the way they used to, just don't want to see it."